What is a mapping session? Put simply, a mapping session allows participants to take a step back from their day to day tasks and look at a process, system or service as a whole. 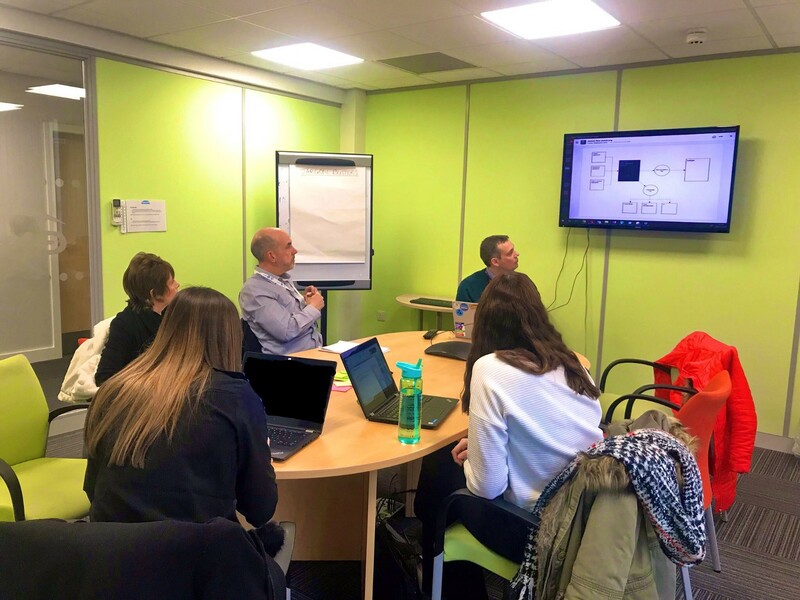 Not to mention that a mapping session provides a broader understanding how the work flow relates to other departments in the organisation and where the cross overs are. This is a great way to get everyone involved so that there is an overall understanding of the process as a whole. So why did we have a mapping session? Back in November, we took advantage of an opportunity from MHCLG and submitted a bid for funding from the Local Digital Declaration fund to work on a collaborative piece of work around GOV.UK PAY. The project’s scope is an agile Discovery phase to understand the advantages of the platform for Local Government and what barriers to adoption there are. The news that our bid had been successful came in December. Early Christmas present! 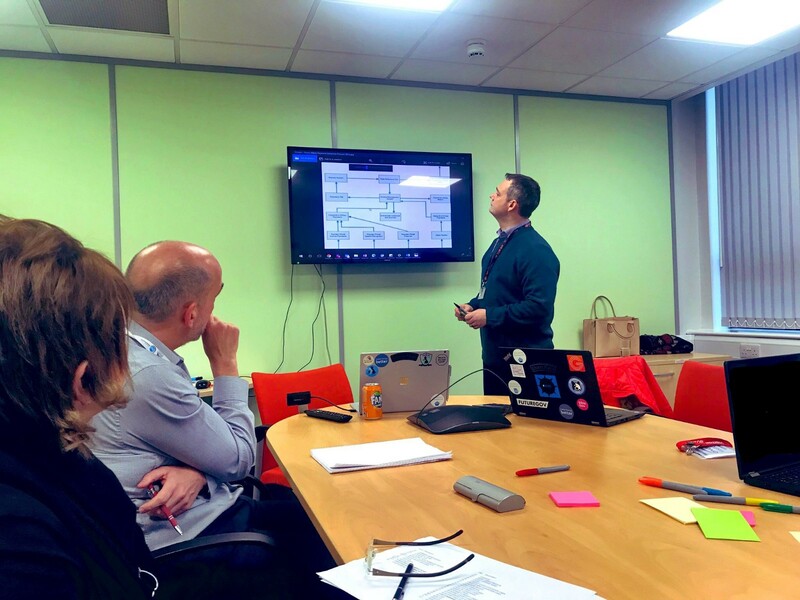 The first step was for the team and partner organisations to take part in GDS Agile for Teams training, which took place in mid January. The planning session we had on the last day of our training identified 3 themes for the Discovery. One of these was to understand the way finance systems in Local Authorities work — the systems, integrations and processes involved, so we can consider how GOV.UK Pay might fit in. So what happened? We got our colleagues from ICT and Finance in one room, got our magic paper on the wall and we started mapping out the process journey. Sounds straight forward, right? Well, it turns out that Finance systems are pretty complicated. Who knew?! I guess the first thing we learned is that 90 minutes is not long enough. A Local Authority receives money from many different sources, in many different ways. To understand the role GOV.UK Pay could play in taking payments from the public, we don’t need to know about every one of those sources in detail, but we did need to map them for context. The GOV.UK Pay team are also keen to understand what future developments might be useful, so we wanted to try to get the right amount of detail to help with that. The wealth of knowledge and experience in our Finance & ICT colleagues is seriously impressive, and reassuring! It’s good to see how much rigour and attention to detail is applied to ensuring that we know where all the money is and what it’s for. We are Local Authorities after all, every penny counts! Unfortunately, this means that it is vital to stay on track and avoid the many rabbit holes, ripe for disappearing down. This is a big area for improvement for me personally. I need to work on my facilitation skills. We did get a good overview of the system and Mike from ICT has provided many detailed workflow diagrams of various parts of the system. We managed to correct some of our assumptions about what happens and bust some jargon too. Now we just need to bring it all together, into an easy to understand map of the system that can be shared. Once the map is ready to share, the GOV.UK Pay team plan to take it as a prototype to test with our partner Councils and iterate it further. Hopefully by the end of our Discovery, we will have produced a map that shows the differences and commonalities between the different systems used by various Councils. 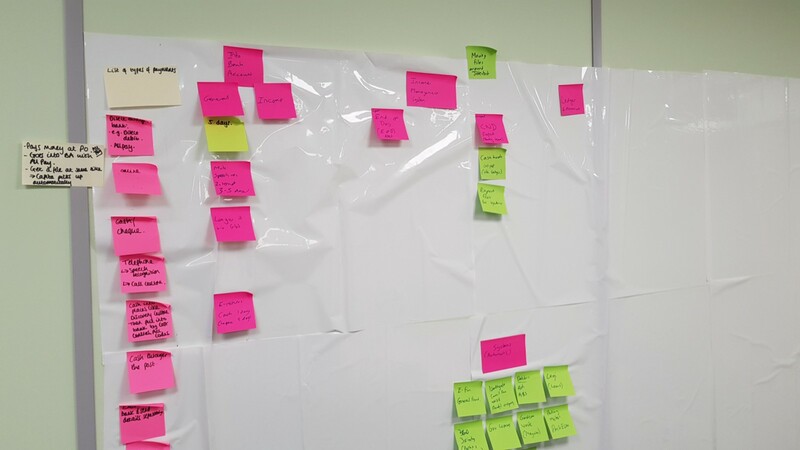 Follow our blog for further updates on this project and the other work the North East Lincolnshire Service Design Team is doing. Digital Business Partner working in the Service Design team at North East Lincolnshire Council. All views are my own.